England’s most famous heritage site. Recent discoveries adding to its mystery. New heritage centre and museum. *Private access can be arranged (if available) at extra cost, very early in the morning, or late evening. Plenty of warning needed. We will walk from the visitor centre, to the Great Cursus, a large Neolithic monument, where we will do an opening ceremony in preparation. Then we will go to the King’s barrow burial mound. From there, we will walk into the processional avenue and make our way up to the Stonehenge circle. We will return via Fargo Woods to the new visitor centre to spend time at the museum. 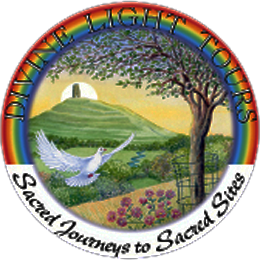 This is a pilgrim path tour that opens your energy centres in preparation to work deeply with the energy of the site. Be prepared for walking! *Private access into the circle can be arranged in advance, if there is space available. This gives a unique opportunity to feel the full force of the frequency among the stones. On the half day, I will prepare you for the Stonehenge experience, talk to you about its meaning and complexity on many levels. We will take the bus from the new visitor centre to the stones, where you will be within ten meters of them, opening ourselves to experience Stonehenge in all its wonder. New discoveries are taking place all the time, in and around the landscape. We will visit the museum, and a reconstruction of the community which shows how Neolithic people would have lived 5000 years ago.